This recipe for King Ranch Chicken is my favorite. It is spicy, flavorful, creamy and just the way I like it. It is extremely easy to make, and is fun to assemble. 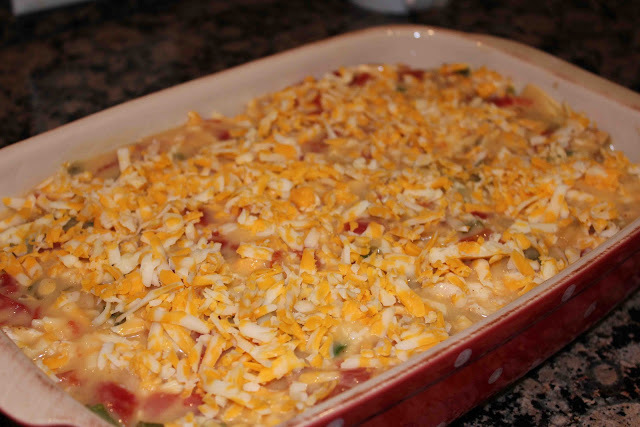 This recipe is from the Homesick Texan blog. Enjoy! First, cook the chicken over medium heat until chicken is done, about 20 minutes. Season with ancho chili powder and lime juice. Saute bell peppers and onions on medium heat for about 7 minutes. When chicken is done, shred it using two forks. Combine soups, broth, Rotel, chile powder and mix until smooth. Pour sauce into bottom of baking dish. 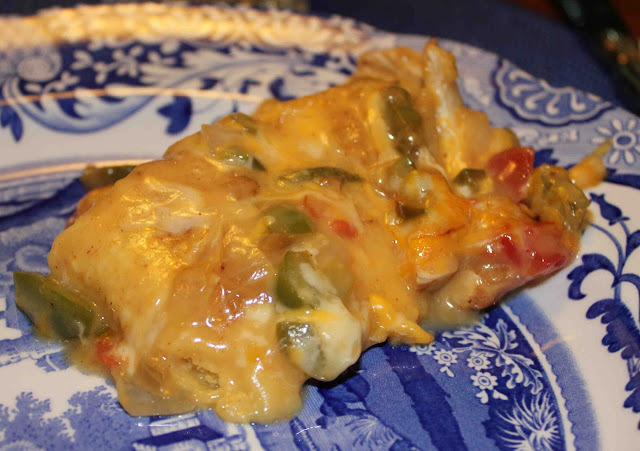 Layer with tortillas, chicken, onion, bell peppers, and cheese. Repeat layers, ending with cheese. Bake uncovered for 30 minutes at 350 degrees until brown and bubbling. 1. Cook chicken in olive oil over medium heat, adding lime juice and ancho chili powder. 2. When chicken is done (after about 20 minutes), shred it with 2 forks, and set aside. It should yield about 3 cups. 3. Saute bell peppers and onions for 7 minutes on medium heat. 5. Combine the soups, broth, Ro-Tel tomatoes, and chili powder; blend until smooth. 6. 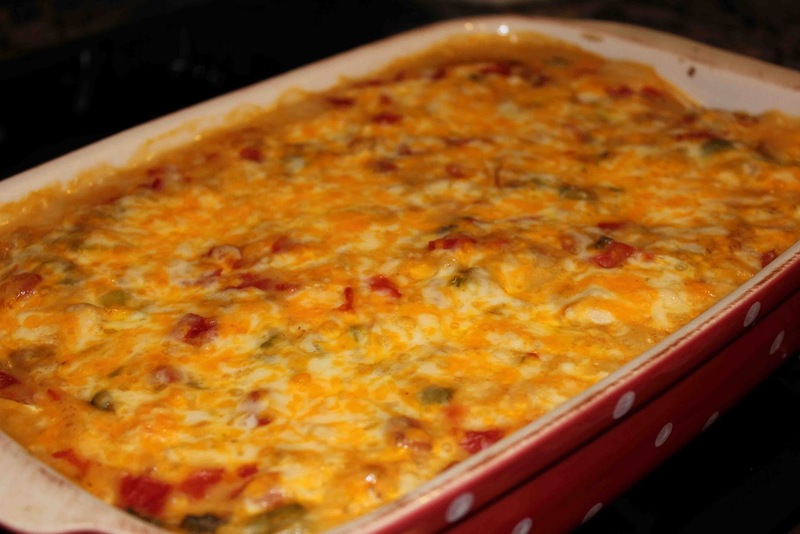 Place a layer of sauce in the bottom of an oven-proof casserole dish. 7. Add layers of tortillas, chicken, onions, bell peppers, and cheese, and sauce. 8. Repeat layers, ending with sauce. Sprinkle more cheese on top if desired. 9. Bake uncovered for 30 minutes or until brown and bubbling.